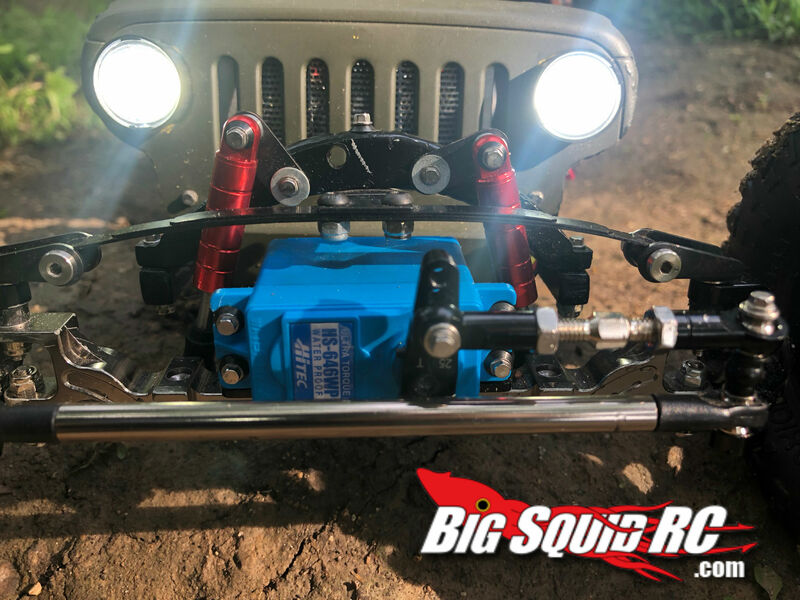 Everybody’s Scalin’ Spotlight Jeep Rod « Big Squid RC – RC Car and Truck News, Reviews, Videos, and More! A few weeks ago I mentioned doing a fan spotlight. 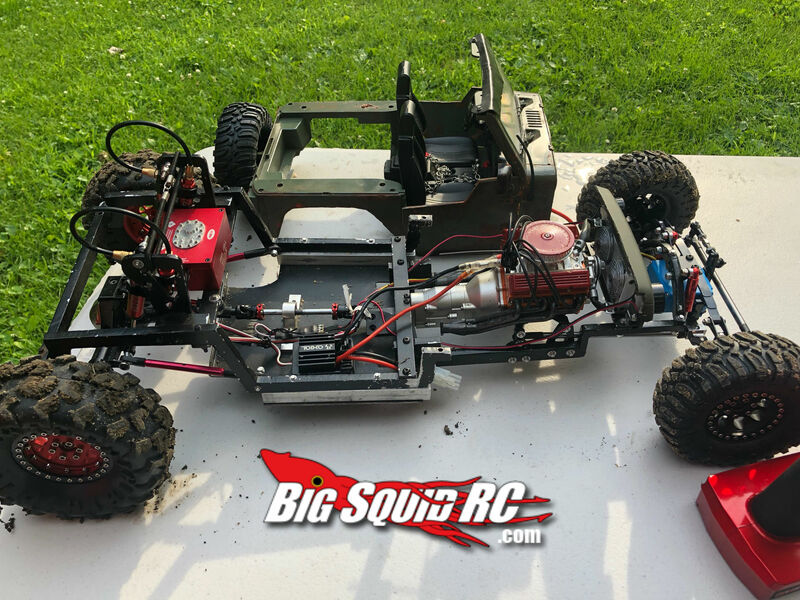 Once a month or so I will pick someone who has scale or custom build. The amount of fabricating and out of the box thinking that goes into any custom build is amazing. A lot of trial and error, but the end result is worth it. Eli Saa and his Jeep Rod definitely qualify for this month’s spotlight. Eli had lost his mother and needed something to take his mind off of things and that is how the Jeep Rod was born. 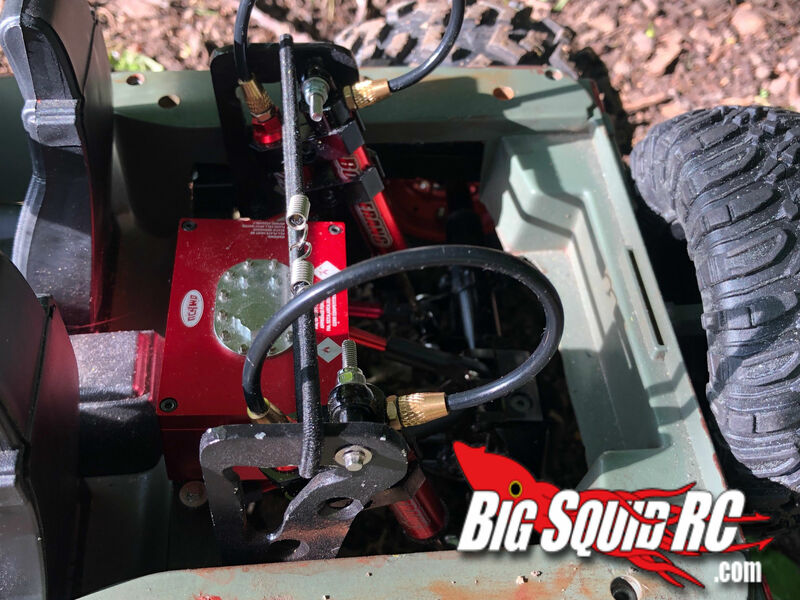 Just another way the hobby we all love can help. Eli got the idea for the Jeep Rod from a picture he saw on the internet. 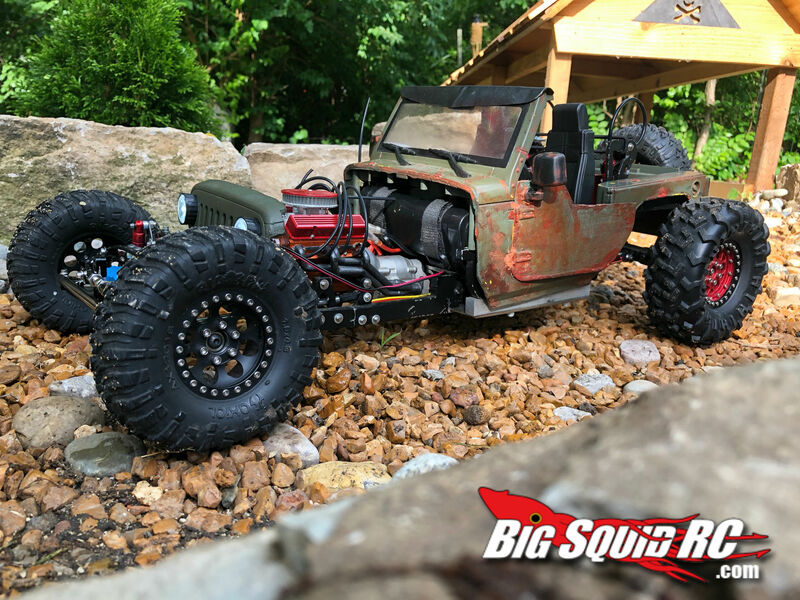 By taking a 1:10 scale Jeep JK body and chopping it up he was able to get the 40’s classic Jeep look. From there he designed his own chassis, a two-piece chassis, the front holding up the power train and the rear holding the main body. 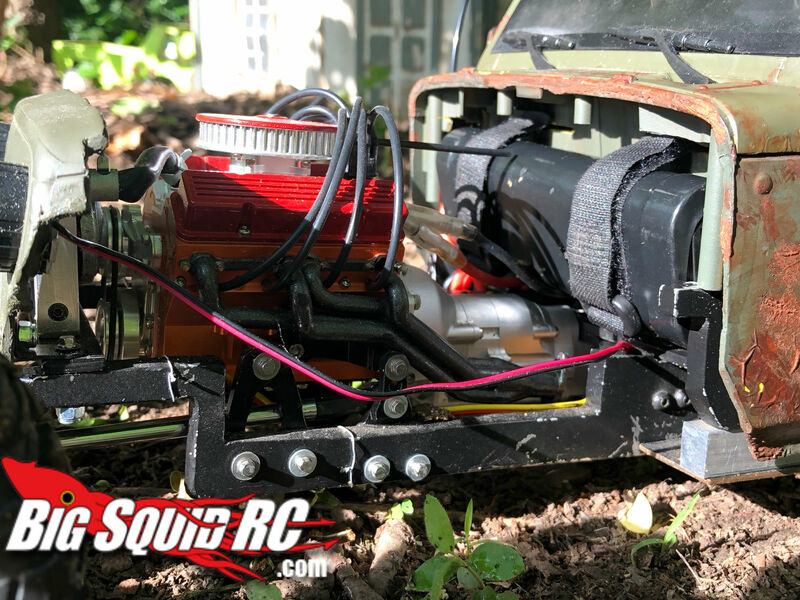 Eli’s use of the RC4WD scale V8 motor and transmission really bring this build together. 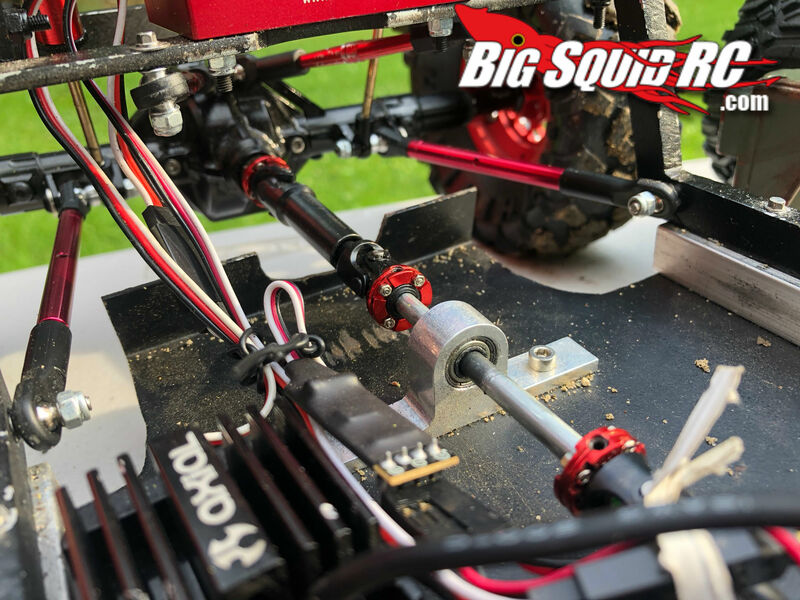 Some of the most innovative use of parts across the board. 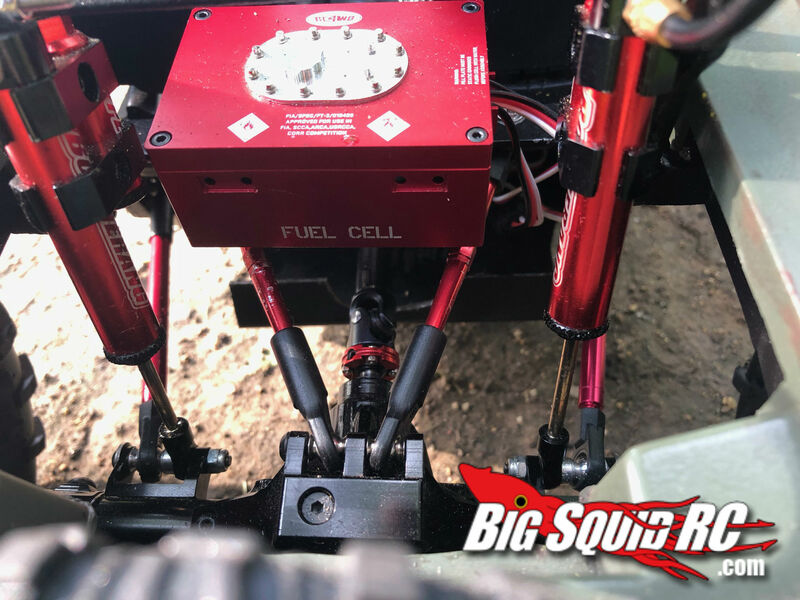 From using an Axial SCX10 lift kit for motor mounts to a leaf spring for the front suspension. As for the paint, I don’t think he could of chose a better color and paint style for the Jeep Rod. The weathered green and rust gives the Jeep Rod that forgotten Army Jeep look that was left behind the old garage at a base. Every piece on the Jeep Rod was carefully thought out and any and all spare time Eli had was dedicated to the Jeep Rod build. He would do rough drafts anytime he got an idea, even during a work meeting; well played Eli, well played. 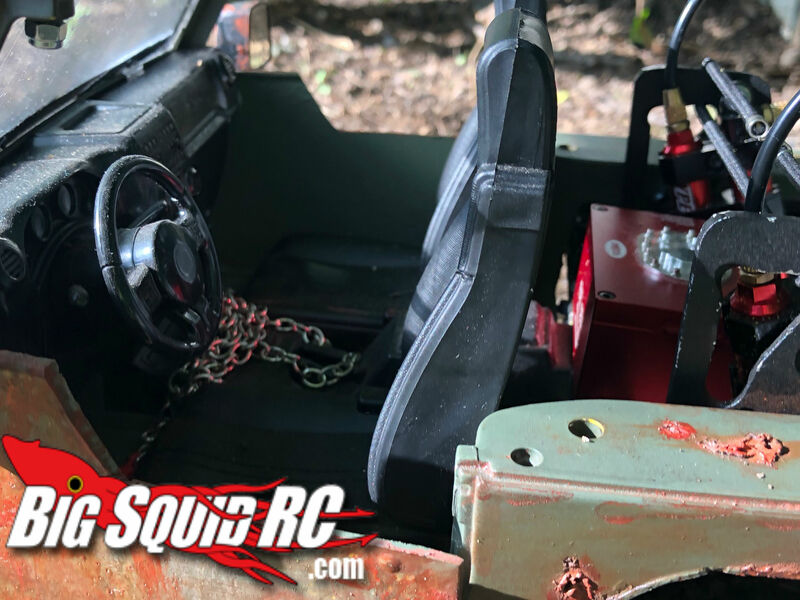 As most of us know any good build takes time and the Jeep Rod was no different. It took about 6 months for Eli to complete the Jeep Rod. When I asked Eli if this was his first custom build and he told me it was my mouth dropped. I couldn’t believe that someone who has never done a custom build could create such a work of art. 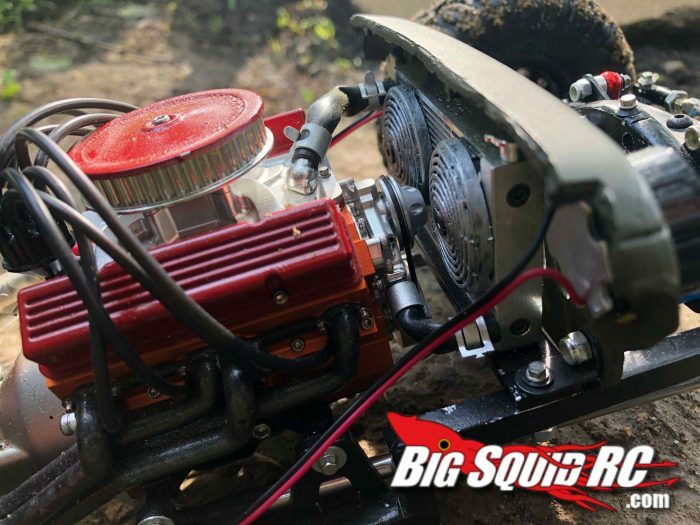 During the photo shoot, the Big Squid in me kept trying to get him to take the Jeep Rod in the mud pit but I guess I wasn’t good at persuading him too take his baby in the mud.